We hope to publish the video towards the end of February 2017. The video will be published on our website and shown at all our WYO Educate mental health workshops across the UK. It has been a very long day for all our cast and crew, filming hours on end does become a drag after a while but everyone remained professional at all times. 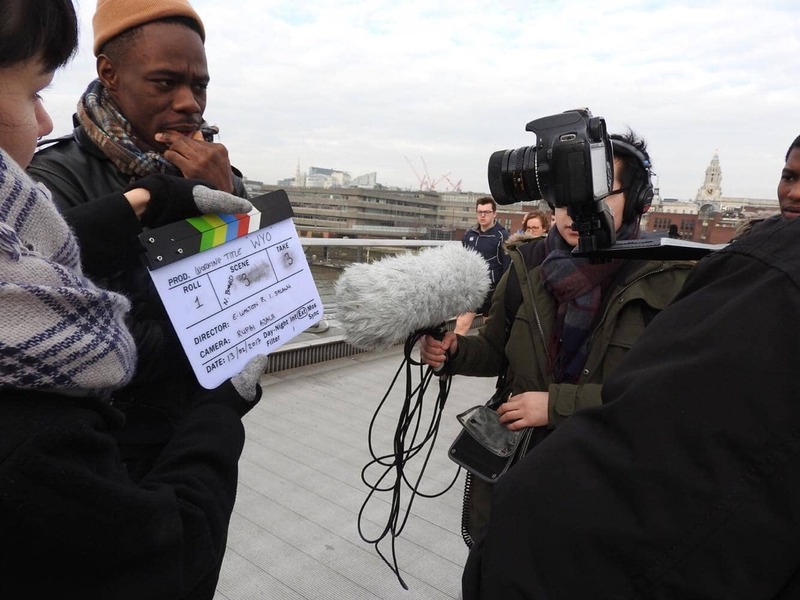 Today we kicked off filming first on the millennium bridge opposite the Tate Modern with a few shots covering Demarley Headley. 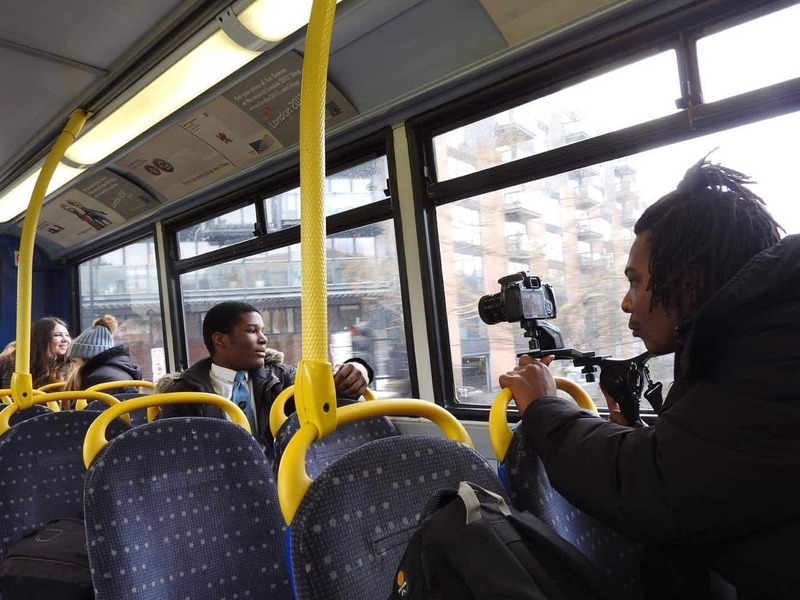 Bus scene with Demarley Headley and cameraman Rufai Ajala. Following from these scenes we travelled east towards Bermondsey to take a few shots with Taylor Quinnell at a bus stop. The day was packed full of travelling and trying to stay warm. A massive thank you must go to our crew who were just incredible and so accommodating with supporting our charity and this project. Taylor Quinnell at a bus stop location. Over two days the charity racked up 10 hours of filming across several locations across London travelling on bus, train, foot and boat (we won’t go into details regarding the boat situation). Everyone on set enjoyed their time with us and we can’t wait to show the finished product to all our supporters, sponsors and the wider public. 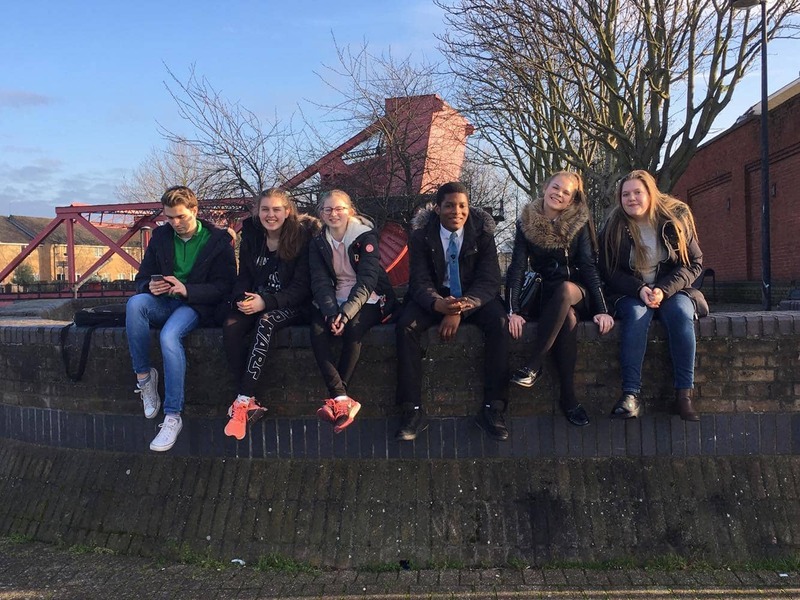 From left to right: Kieran Goodwin (CEO), Emily Smith, Lucy Smith, Demarley Headley, Taylor Quinnell and Amelia Sycamore. Our first WYO Educate mental health workshop will be delivered in early March 2017. For more information please visit our WYO Educate website.